Using laminated timber beams in a building design does not only provide striking aesthetic benefits, but is also a good way of optimising and upgrading the natural resource that is timber. According to Abe Stears, managing director of South African Technical Auditing Services (SATAS), by laminating smaller pieces of wood, even a lower grade or quality timber, one can strengthen the timber and form a large and strong beam, thereby optimising the use of the resource and making it viable for structural applications. 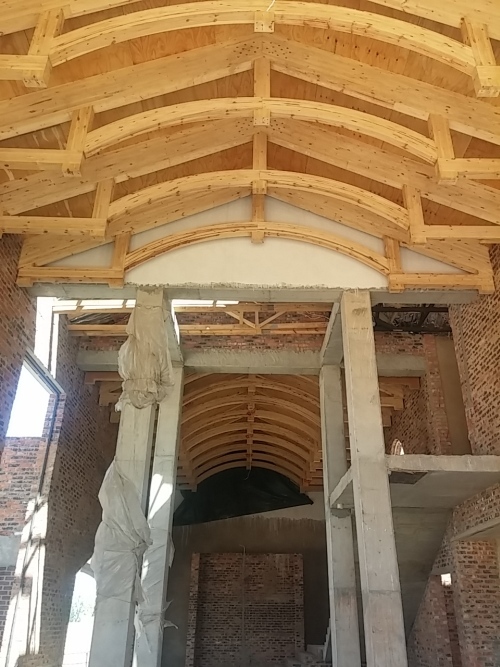 Laminated beams, also referred to as glulam beams, are engineered by gluing together several layers of timber with adhesives that are specifically designed for structural applications. “During the lamination process, one can form and bend the laminate in order to achieve an arch or any other desired form. In fact, it can be specifically manufactured for any particular design,” says Stears. This ability to design laminated timber beams for the intended purpose is one of the biggest benefits of this building material. 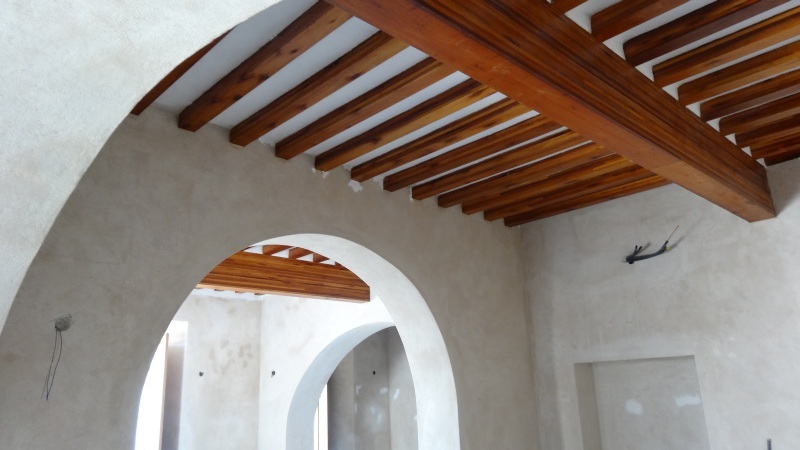 However, Stears warns that not many people know how to use structural laminated beams properly, and in some instances they are used in structural applications for their aesthetic appeal without any consideration for their load-bearing ability or capacity. Random tests conducted on laminated timber beams at the University of Pretoria by Professor Walter Burdzik revealed that a large percentage of such laminated timber beams did not comply with the bending strength or modulus of rupture (MOR) and the modulus of elasticity (MOE) requirements for stress grade 5 as published in SANS 10163 parts 1 and 2, which govern both the allowable stress design and limit-states design of the structural use of timber. “A laminated timber beam is not just a piece of solid timber, and therefore each of the various components used to make a laminated timber beam must meet certain requirements prior to assembly,” Stears emphasises. 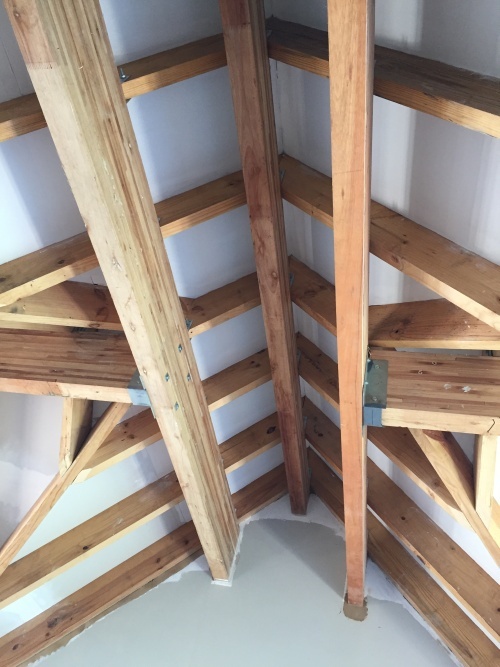 First of all, the raw material needs to be properly dried and graded for appropriate selection, and the finger joints within the timber beam must comply with the requirements set out in SANS 10096, which governs the manufacture of finger joints in structural timber. The choice of adhesive used to bind the wood together is another crucial consideration. Adhesive systems are specially designed for use in specific application classes, which range from exposed exterior to interior dry, and must therefore be selected for the appropriate application class for which the beam will be used. “A structural laminated timber beam manufactured with an adhesive designed for interior dry use will not last long if used in an exterior application. Proper manufacturing process control is vital, as the use of the correct adhesive and timber will prove worthless if not correctly applied,” Stears explains. “Important factors and conditions such as timber moisture content and adhesive manufacturer requirements, such as press time, pot life and spread rate, are vital to ensure a high-quality end-product,” he says. Once the manufacturing process is complete, grade compliance needs to be established or verified. This is achieved by means of a proof-load test, which records the relevant data to determine compliance with the grade requirements on strength and MOE. Once this has been completed, adhesive bond integrity tests are performed on small samples to determine compliance in the total manufacturing process. “Ultimately the certification of a product indicates to architects where the beams can be used and will give them the assurance of correct application and traceability,” states Stears. The Institute for Timber Construction of South Africa (ITC-SA) points out that it is a requirement in terms of SANS 10163: The Structural Use of Timber, and the National Building Regulations, SANS 10400, that all structural timber complies with the relevant product specification. The only way to demonstrate this is by means of certification by an ISO 17065-accredited certification body or by means of a registered structural engineer. In addition, there has to be recorded evidence of controls to support this, i.e. type and classification of structural adhesive and approval certificate of each batch, test results of the MOR (bending stress) and MOE (stiffness), grade classification and markings, to name a few. “It is also important to note that all timber used for structural purposes in South Africa must meet the strength requirements for stress grade 5 as a minimum, which means that any timber, including laminated timber units, that does not meet the relevant grade requirements is not appropriate or safe for use as structural timber,” Stears adds. All laminated timber beams must comply with the minimum requirements outlined in SANS 1460: Laminated Timber and are to be clearly stamped by the supplier, indicating the grade and the relevant accredited authority. In South Africa, SATAS and the South African Bureau of Standards (SABS) are the only two bodies accredited by the South African National Accreditation Systems (SANAS) to carry out certification on structural laminated timber. In turn, only a few laminated timber manufacturers in South Africa are certified by these accreditation bodies for the manufacture of laminated beams to the requirements of SANS 1460 for laminated timber. “The manufacture of structural laminated beams in compliance with SANS 1460 is a costly process, which is why some unscrupulous contractors may make use of inferior imported or ‘backyard’ products that do not meet the required standards for strength or quality for structural applications,” warns Stears. “The knock-on effects of this are potentially devastating. If a cheaper alternative product is used, failures could result, but these would more than likely only occur a few years after construction, and in most instances responsibility of repair and related costs would befall the unsuspecting owner,” he states. The ITC-SA reiterates that it is the responsibility of architects and engineers to specify certified structural timber, the relevant inspectors to ensure compliance, and design engineers, architects and truss manufacturers to specify products they can trust. “Making use of laminated timber products for structural purposes without the necessary certification and backing amounts to irresponsible business – and building – practice,” says Amanda Obbes, general manager of the ITC-SA. With a growing interest in timber construction across the world, and multi-storey timber buildings being constructed, laminated timber is a viable resource for both aesthetic and structural applications. 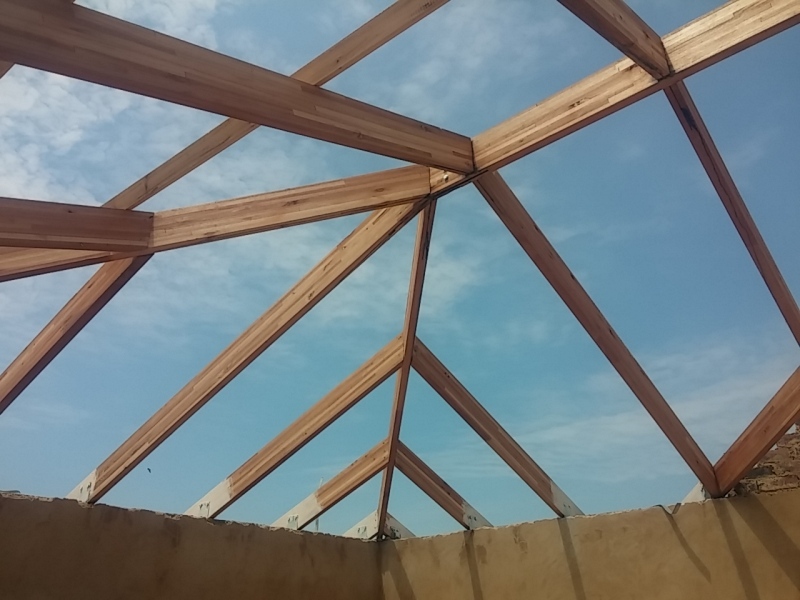 “In South Africa, where laminated timber is mainly used for visible trusses at the moment, we are not fully utilising our timber resources yet. The process of laminating can help to optimise the use of this natural resource, so there is definitely potential for growth in this sector, as long as traceability and product certification stay top of mind for any architect, designer and engineer involved in construction,” Stears concludes. Full thanks and acknowledgement are given to Abe Stears from South African Technical Auditing Services (SATAS), as well as the Institute for Timber Construction South Africa (ITC-SA), for the information and images provided. 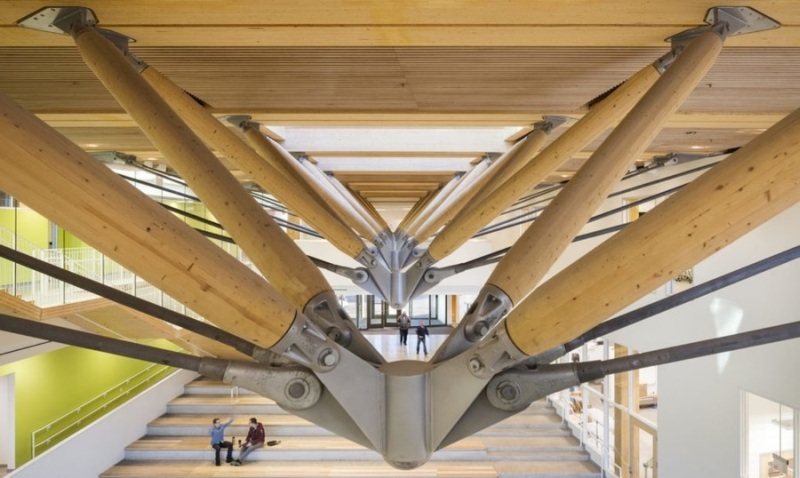 Caption main image: Cross-laminated timber academic building in the U.S, at the University of Massachusetts (UMass) Amherst.